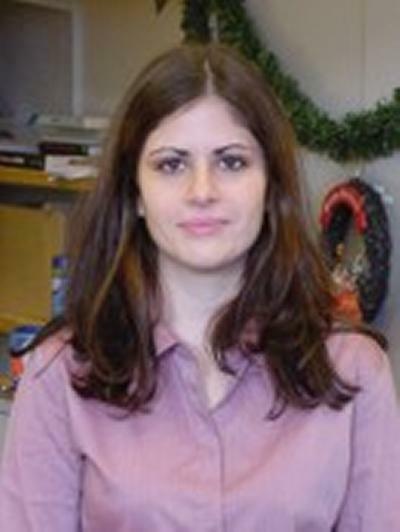 Dr Hanna Kovshoff is a Associate Professor in Developmental Psychology at the University of Southampton. PhD (Psychology) - University of Southampton (Supervisors - Professor Bob Remington and Professor Richard Hastings) Thesis Title: The development of joint attention in preschool aged children with autism: The effects of early intensive behavioural intervention. I use quantitative and qualitative methods to investigate (1) cognitive mechanisms linked to developmental outcomes (i.e., social development and educational achievement) associated with disorders in developmental psychopathology (2) to translate basic research findings to develop and assess the impact of a range of interventions (developmental, behavioural, parenting, and pharmacological) on children with neurodevelopmental conditions and their families. Sonuga-Barke, E., Kennedy, M., Golm, D., Knights, N., Kovshoff, H., Kumsta, R., ... Schlotz, W. (Accepted/In press). Adoptees’ responses to separation from, and reunion with, their adoptive parent at age 4 years is associated with long-term persistence of autism symptoms following early severe institutional deprivation. Development and Psychopathology. Parsons, S., & Kovshoff, H. (Accepted/In press). Building the evidence base through school-research partnerships in autism education: the Autism Community Research Network @ Southampton [ACoRNS]. Good Autism Practice. Herring, E., Grindle, C., & Kovshoff, H. (Accepted/In press). Teaching early reading skills to children with severe intellectual disabilities using Headsprout Early Reading. Journal of Applied Research in Intellectual Disabilities. Wood-Downie, H., O'Farrell, K. J., Andersen, C. B., Mullen, C., & Kovshoff, H. (Accepted/In press). The impact of Planning Alternative Tomorrows with Hope (PATH) for children and young people. Educational Psychology in Practice. Kovshoff, H., Cebula, K., Tsai, J., & hastings, R. (2017). Siblings of children with autism: the siblings embedded systems framework. Current Developmental Disorders Reports, 4(2), 37. Tzanakaki, P., Grindle, C. F., Hastings, R., Hughes, J. C., Kovshoff, H., & Remington, B. (Accepted/In press). How and why do parents choose early intensive behavioural intervention for their young child with autism? Education and Training in Autism and Developmental Disabilities. Grindle, C. F., Hastings, R. P., Saville, M., Hughes, J. C., Kovshoff, H., & Huxley, K. (2009). Integrating evidence-based behavioural teaching methods into education for children with autism. Educational and Child Psychology, 26(4), 65-81. Charman, T., Howlin, P., Aldred, C., Baird, G., Degli Espinosa, F., Diggle, T., ... Wolke, D. (2003). Research into early intervention for children with autism and related disorders: methodological and design issues: report on a workshop funded by the Wellcome Trust, Institute of Child Health, London, UK, November 2001. Autism, 7(2), 217-225. Hadwin, J. A., & Kovshoff, H. (Accepted/In press). Overview. In P. Howlin, S. Baron-Cohen, & J. A. Hadwin (Eds. ), Teaching Children with Autism to Mind-Read: the workbook UK: Wiley-Blackwell. Kovshoff, H., Grindle, C. F., & Hastings, R. (2006). Autism: psychological perspectives. In C. A. Essau (Ed. ), Child and Adolescent Psychopathology: Theoretical and Clinical Implications (pp. 246-270). London, UK: Routledge Psychology Press. Supervision of students in BSc Psychology, MSc programmes, Doctorate in Educational/Clinical Psychology, and PhD programmes.